Social network for pugs and their people. 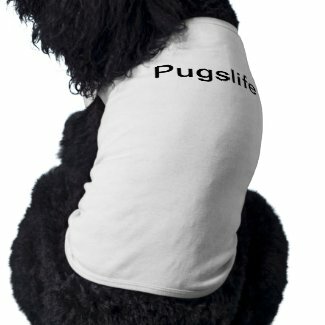 Advertise on Pugslife and reach out to over 5,000 pug owners. All day, every day. Sasha is our resident pug. When she's not napping, she likes to talk. and talk. and talk! Pug health. Pug training. Pug trivia. Pug, pug, pug ... all the time! Do you know all about pugs? Not until you hear what Sasha Says. "Oh wow, Im sure i can remember when you got Linus?! Or he was very young. Wowee sure has flown by. How are they doing? Milos stroller has arrived today and I'm so excited to start getting him out and about alot easier now rather than a two…"
"Hi Sophie, it sure has been awhile, your daughter is very cute, and how old is Milo now. I know the time has flown by, Linus will be 10 and Lizzy 9. I hope all is well. This is the first I have been back to Pugslife in a few…"
"D Sad to say Sophie that most of the migrated to Facebook, I just gave up. Di and I remain I touch by email and I kept in touch with Pam in Arizona, and with Molly in California until she died last year, her and Izzy within months of each…"
"The pushchair came out of Amazon, around £40 Mark, not the greatest but we have had good use if it. We were considering buying a new one but they are really all of a muchness. If Milo is anything like Hektor he will love the fact that he can…"
"Julie I was sad to hear.about Bear. He was such a gentle soul. We have had quite a year." "Hi Sophie, Hektor now eleven, heading for twelve, has arthritis, so we bought a push chair for him and he loves it. He got over the cataract but he had been left with the pigmentation in his good eye. He was treated for around four years t on the…"
"So very sorry to hear about Milo,it is so hard as they get older,i know about that i wished they could live forever.Please give Milo Birthday Kisses For Me and please take care,i'll keep you in my prayers." "Hiya! Just going around seeing where everyone who used to hang out here in 2010 has gone? How you're all doing! It's Milos 10th birthday this year and his health is getting worse and I've been reminiscing at his old photos and wanted…"